The definitive Alien and Predator figurine collection presents characters from the Alien, Predator, AvP, and Prometheus movie franchises in terrifyingly realistic detail at 1:16 scale. This Top Knot Predator from Aliens vs. 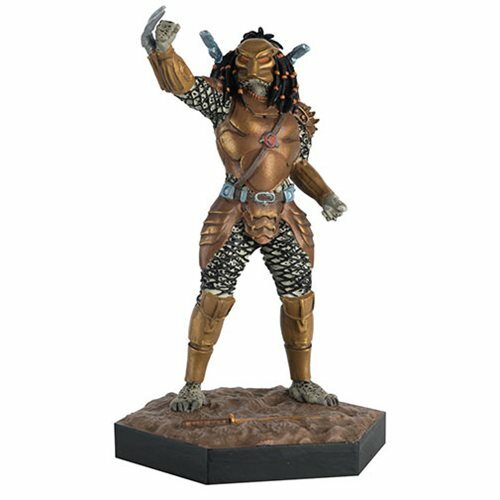 Predator: Waris cast in a specially formulated metallic resin and painted by hand. The Aliens Top Knot Predator Statue also comes with Collector Magazine #48 in the series. Top Knot Predator from Aliens vs. Predator: War stands approximately 5-inches tall.